Nutrients in Dairy and Their Implications for Health and Disease addresses various dairy products and their impact on health. This comprehensive book is divided into three sections and presents a balanced overview of the health benefits of milk and milk products. 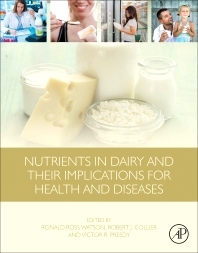 Summaries capture the most salient points of each chapter, and the importance of milk and its products as functional foods is addressed throughout.